RSC can take substrates right up to a size of 600x600 mm with a maximum substrate thickness of 80 mm while processing as far as 10,000 patches per target. 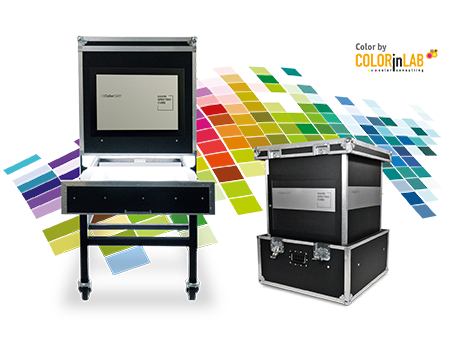 Extremely fast color measurement and profiling for industrial digital printing application. You can buy the RCS in different variants. The main advantage of RSC FC is its mobility and low weight which makes it very easy to transport (32 kg weight). The RSC HD is characterized by its high stability and is therefore suitable for heavy substrates. Further information are to be found in our RSC Video and on our website.